required_version The version of latest client application. type The type of update, “force” or “optional”. update_url Google Play URL of your app. updater.message = "[message]" // Yout can update new version! 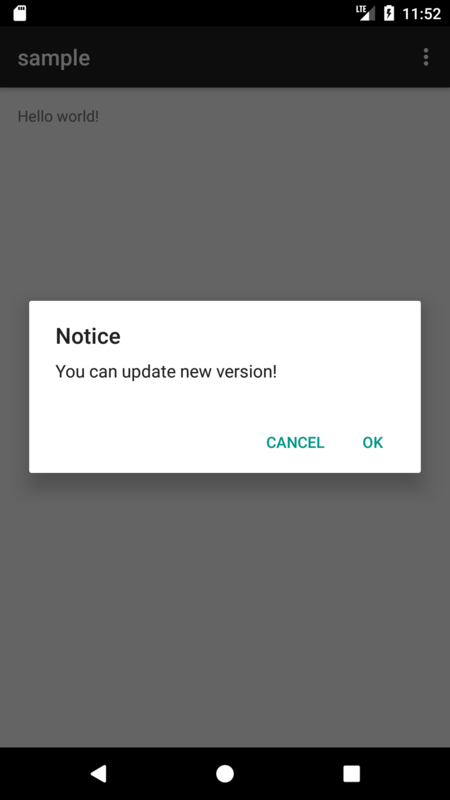 updater.forceMessage = "[forceMessage]" // You can update latest app version. 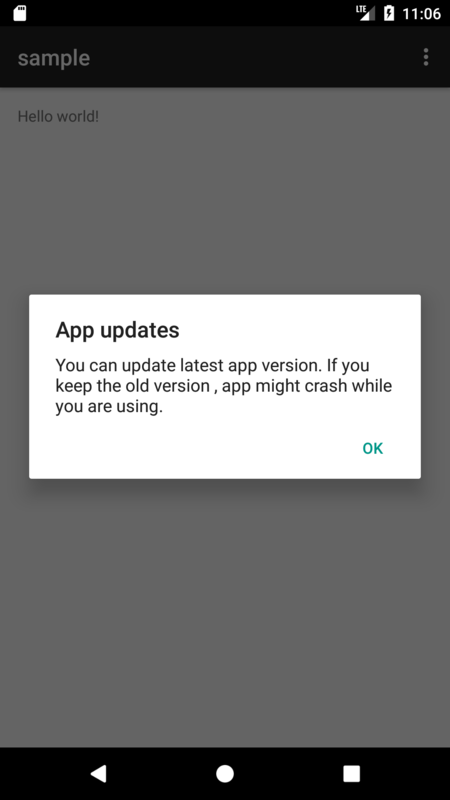 If you keep the old version , app might crash while you are using. updater.positiveButtonText = "[positiveButtonText]" // OK!! updater.negativeButtonText = "[negativeButtonText]" // CANCEL! !